I have mentioned in previous posts that I have a sister who lives in the centre of the city of Leicester. She has been able to witness recent developments. First, to set the scene. On 23 May 2014 the long awaited outcome of a Judicial Review held earlier in March 2014, was delivered at the Royal Courts of Justice, London. 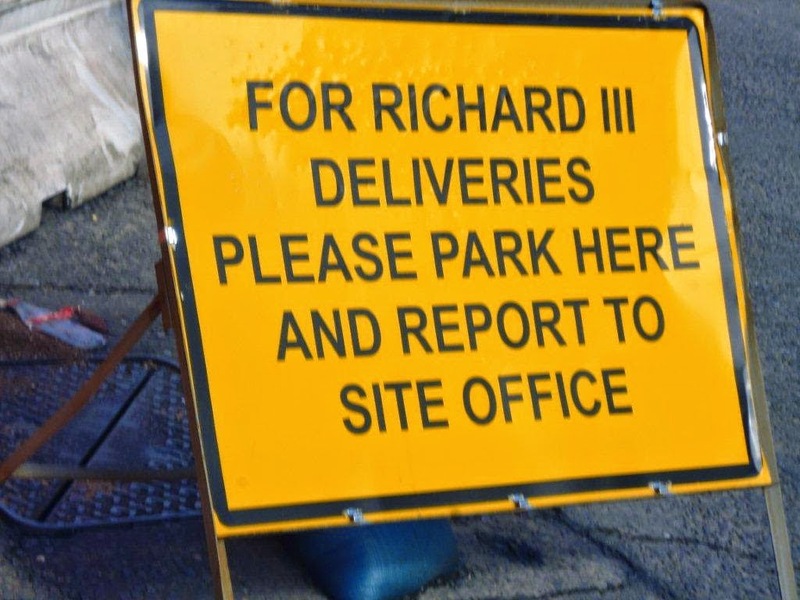 The deliberations were not about where King Richard III should be buried (Leicester or York or any other place) but whether several defendants, including the Secretary of State for Justice, had a duty at common law to consult about where and how the King's remains should be re-interred. The action had been brought by the Plantagenet Alliance a group of fifteen collateral descendants of king, who believed they should have been consulted. 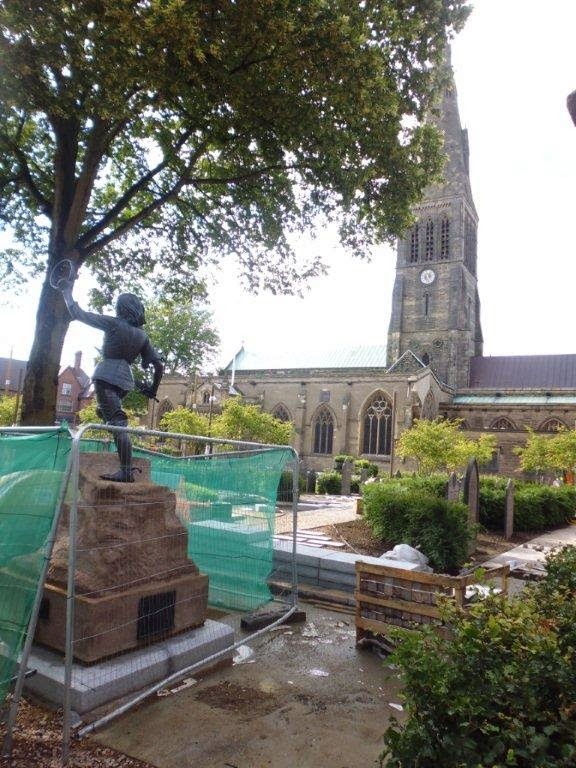 Leicester has been re-designing its city centre and cathedral precincts to create a Richard III themed pedestrian experience which links the important sites. This transformation is not yet complete. 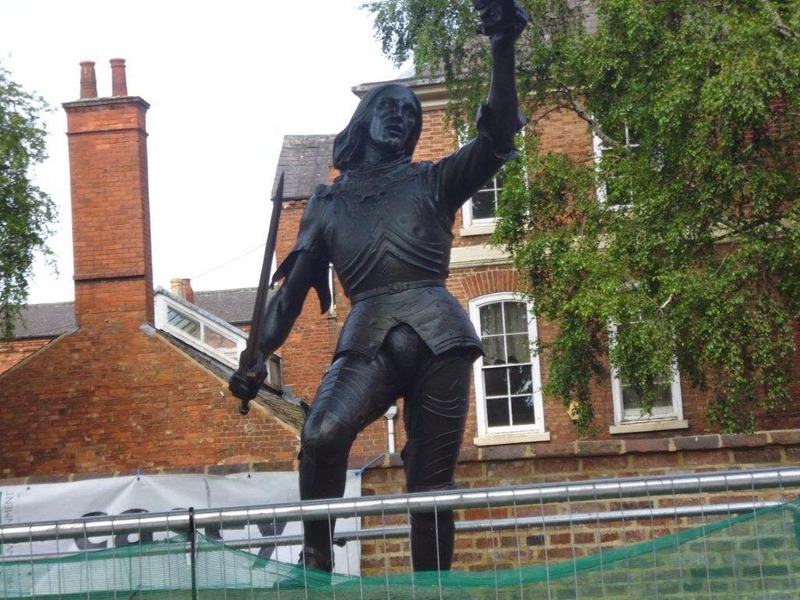 But this week Richard III's statue has this been re-located from Leicester's Castle Park to it's Cathedral precinct. He has been furnished with a new sword, replacing his dagger. My sister did wonder, below, what type of deliveries were expected by road back then in the 15th century. Hay? Armour? Or perhaps, most enticingly, street food in the form of MedievalMorsels? The most likely street food would have been the ever popular pie or "chewit" sold by itinerant traders. 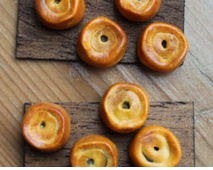 Individually sized, encased in pastry-crust and therefore easy to carry and easy to eat.